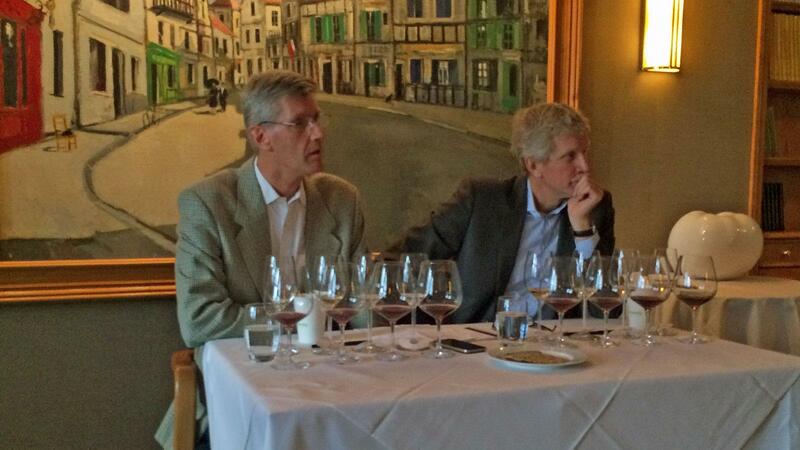 Philippe (left) and Laurent Drouhin hosted a candid conversation about biodynamics. Late last year I attended a presentation by Laurent and Philippe Drouhin, two of the four siblings running the Beaune-based Joseph Drouhin merchant house. It was all the more special given that Philippe, who is in charge of the viticulture for the family company, rarely travels outside Burgundy. He was in New York to speak about viticulture, specifically, why he had converted Drouhin's 180 acres of vineyards first to organic and, since 1997, biodynamic farming. In some ways, biodynamic viticulture is a return to the old ways of farming in Burgundy, before the advent of fertilizers and chemical treatments that arrived after World War 2. And that suits the Drouhin style of wines just fine. "In a world of more technical wines, we have an approach and we want to keep that approach and make wines with soul," said Laurent. "We don't go with the wind, we have a Joseph Drouhin style and we want to keep that style with the next generation." It was at viticultural school in Beaune that Philippe developed an interest in organic farming. When he questioned the result of treating the vines with chemicals, his teachers could not provide answers. He began observing some organic vineyards in Burgundy and saw fewer problems. For example, in a season that suffered an attack of spider mites, the organically farmed vines remained healthy through the harvest. He concluded that using synthetic chemicals was not the correct path for Maison Drouhin. His father, Robert, had already noticed that the vineyards in the 1960s and 1970s looked healthy, however, the wine quality had diminished. "Nature adapted to synthetic chemicals and created the need for new chemicals, except copper and sulfur," he said. Farming biodynamically was also a way to reduce the use of copper and sulfur. He began studying biodynamics, formed a group with other growers and looked to Switzerland, where a number of experiments had been made. Philippe feels he applied biodynamic principles in "the right way," but the more he learned, the more he felt there wasn't enough research. For example, the planetary influence on plants and deeper root development in biodynamic vs. organic vineyards are two areas he thinks require more study. Though he is conducting organic trials at the family's Oregon property, Domaine Drouhin, he jokingly referred to it as his "mildew garden." Oregon's soils are very different from Burgundy's—acidic rather than basic in pH—and Philippe admitted there is still progress to be made. The 2015 Burgundies I tasted as barrel samples last year were stellar, and the dozen bottles I recently tasted blind show the purity and precision characteristic of the Drouhin style. "If in the end, biodynamics doesn't do anything," Philippe concluded, "I'm 100 percent sure it doesn't do anything bad to my vineyards."